The patient was 70 years old and he underwent right nephrectomy 3 days ago, for a kidney tumor on his right which was started just two months ago, according to his daughter. His right kidney measuring 14 cm at the biggest diameter. 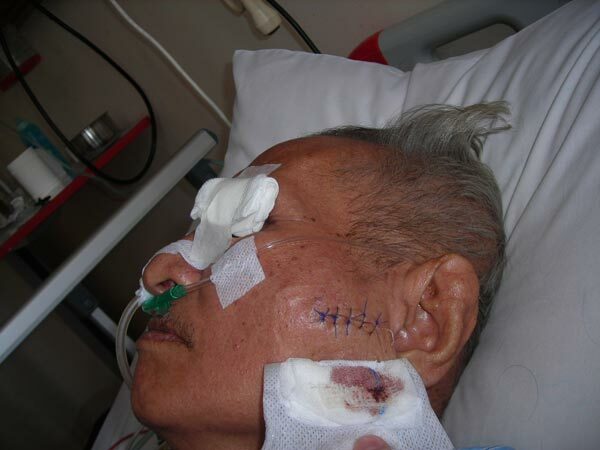 Hematuria was his chief complain, besides one big lump on his left cheek measuring 3 cm in diameter, also started about the same time, two months ago. 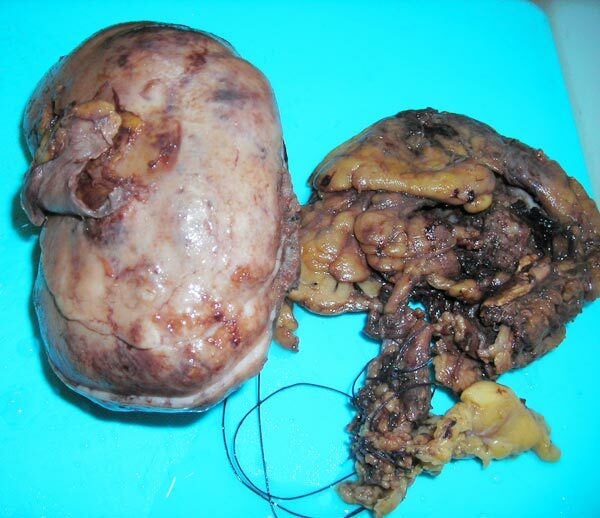 This is the first time I saw the metastasis of renal cell carcinoma to soft tissue. 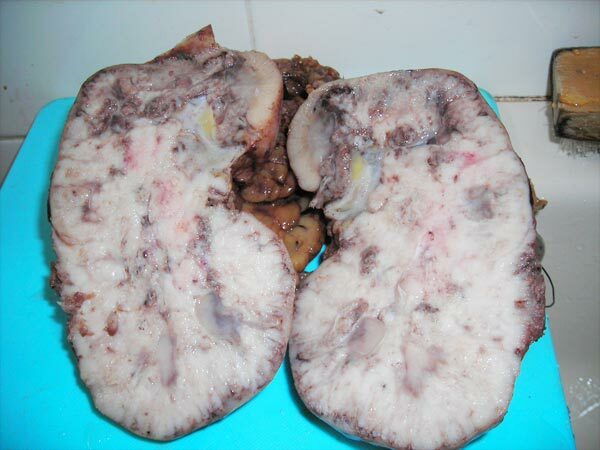 The morphology of this kidney tumor was renal cell carcinoma with sarcomatoid appearence, so that it was graded as grade-4, the most malignant of this type.. Thanks 4 ur comment. And I bet you’re a medical student. one of the great medical doctors in Indonesia. Amen..
Good article .. dokter Sukma. I like this, very important information for us.